This video shows you the best way to assemble and install your 90mm Merbau Decking using the KlevaKlip method. 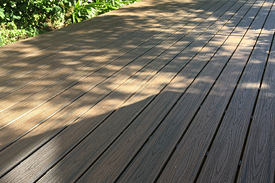 Using KlevaKlip provides the aesthetic appeal of a nail-free deck. 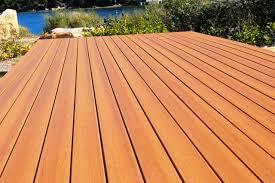 We strongly recommend the first row is laid with the uprights pointing towards the front of the deck. Make sure KlevaKlips sit squarely on the outside joists when positioning the overhang for the front full deck board and fascia. 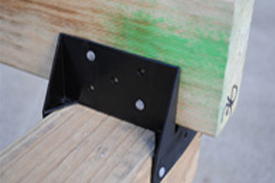 Note: the recesses on the sides of the clips are set at a width of 45mm to assist with positioning the clip squarely on standard 45mm joists. 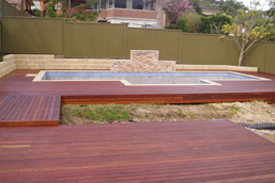 Full deck board widths are recommended at the front of your deck and once this is obtained, place your other KlevaKlip's on the end joists towards the house to check squareness of your deck and to ensure the last deck board width against the house is not too narrow. 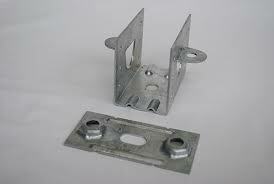 If you are using stainless steel clips, it is essential that you use stainless steel fixings. When fixing onto Steel Joists, although it is not mandatory when using Galvanised clips, we believe its good practice to apply a thin coating of polyurethane adhesive to the top of your joists. When using stainless steel clips on galvanised joists this is absolutely essential to separate both surfaces as galvanised steel and stainless steel react to each other. Note: The special "knuckle nails" will not penetrate steel joists. Therefore before fixing the clip onto steel joists, simply turn it upside down and simply knock the knuckle nail straight. The following video on Merbau clipboard replacement will help you get the job done quickly and help reduce costly mistakes.